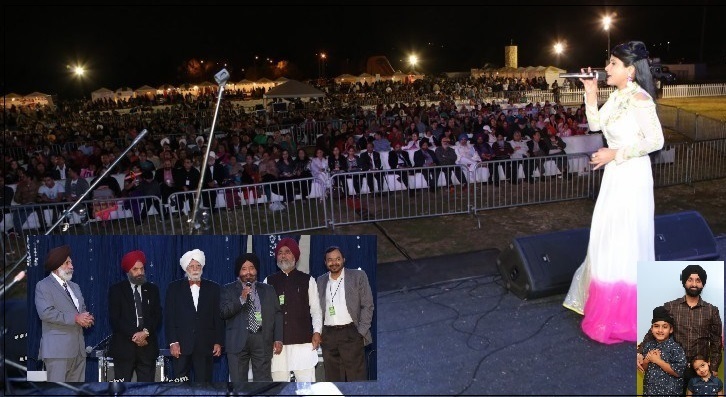 Punjabi Heritage & Cultural Society and Festival of India Association organized the VAISAKHI MELA 2015on May 15th at Hansen Dam Soccer Field, 11770 Foothill Blvd., Lake View Terrace, California (just 20 miles from LA airport) with live performance of Punjabi famous Singer Miss Pooja, aling with Harjit Harman, Ammy Virk, Gitta Bains and also local Bhangra group of Beuna Park, LA. This was a open Air Mela from 6pm-10pm event with a free entrance and free parking. Dr. Marwah, a famous dentist and a philanthropist, was the chief guest of this event. (From L to R: Mr. Singh, Dr. Piara Singh, Dr Amarjeet Marwaha, Dr. Jaswant Dhillon, Iqbal Samra and Ravi Grewal ...far right- Ramman Chadha with children, a rising star who managed and well organized the event. Dr. Amarjit Singh Marwah received his education at Kotakpura, Faridkot, India. He graduated from Lahore and also earned his degrees from the University of Illinois and Harvard University in New York. He is best known as a famous dentist and a philanthropist. Hollywood legend Elizabeth Taylor was one of his clients. He won many awards and has done great philanthropic work in India and the USA. In 1969 he founded the first Vermont Gurdwara in Los Angeles. He was the campaign manager of Dalip Singh Saund when he was elected to the U.S. Congress.
" 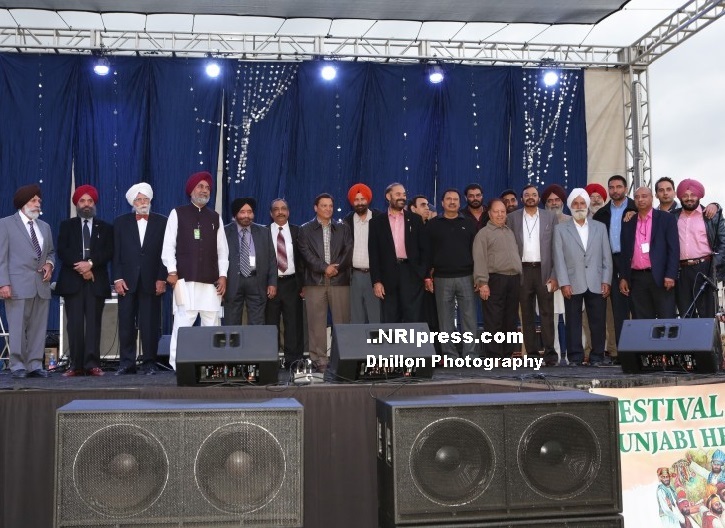 It was an excellent opportunity for local NRIs to interact with Vaisakhi Mela audiences and celebrate the joy of Vaisakhi Mela in a pure traditional and cultural way." Ravi Grewal, a successful entrepreneur who organize the program told NRIpress. "We have no difficulty to collect funds every year from $50,000-$100,000 for our event because in our our network there are 40-50 like minded business entrepreneurs who donate from $1000-$50000 each person," said Sam Sidhu, a well known real estate broker and restaurant chain owner. 'It depends upon the artist or a singer. We don't collect money from general public and small business owners." Vaisakhi is one of the major festivals of Sikhs and is celebrated with lot of enthusiasm and gaiety in the state of Punjab and all over the world where there is a significant NRI Punjabi Sikh Hindu population. Vaisakhi bring the love humanity, the universe and each and every creation of the almighty. The festival is also celebrated by Hindus and Buddhists for different reasons including the start of a new year. People in the Punjab region regard Besakhi as a harvest festival and the Punjabi new year.